During the old days, when the sky is clear, you can see the cross of Mount Samat from the roof of our house in Malabon, recalls my mom as I told her I was going on a trip to Bataan. That’s a long way off, about 50 kilometers way off. 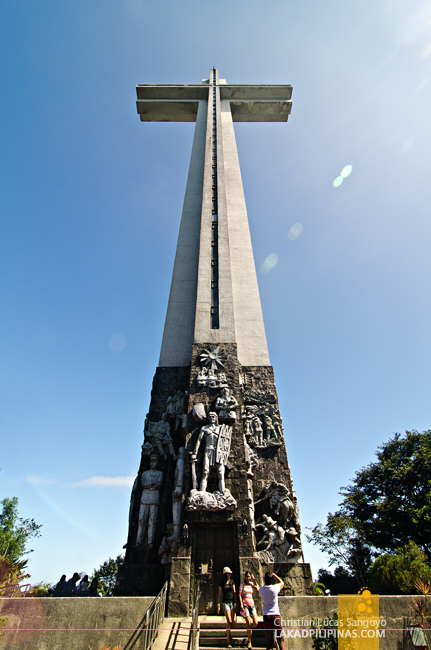 To step on the cross near the apex of Mount Samat had always been a dream of mine ever since having a glimpse of it from a window of a speeding bus during my high school years. 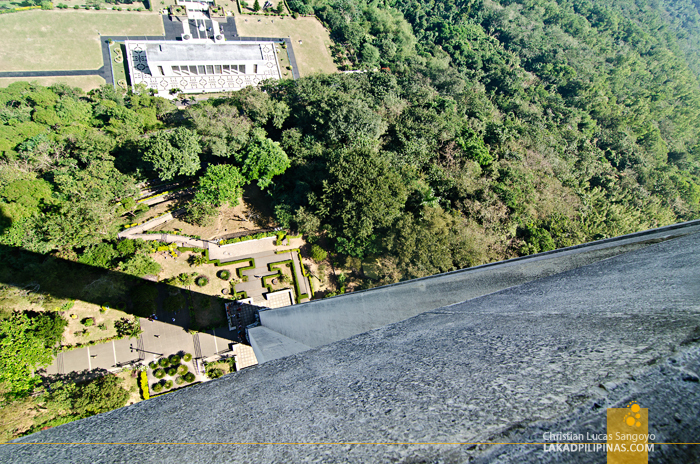 Dubbed as the Dambana ng Kagitingan or Shrine of Valor, the 73,665-hectare park built in 1966 is dedicated to the fallen heroes of the Second World War. 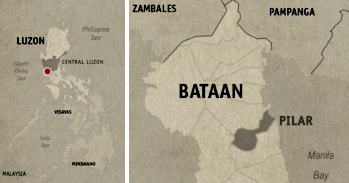 The site itself is part of bloody battlefield where the Philippines’ last stand against the Japanese Imperial Forces took place. 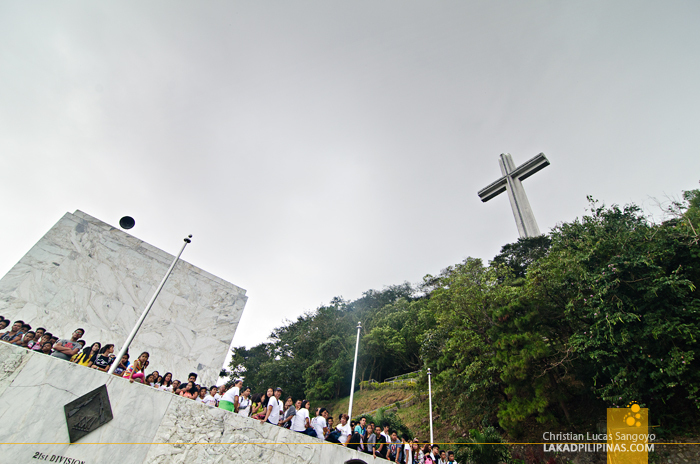 Coinciding with the festivities of the Bataan Pawikan Festival, a thanksgiving mass was held at the grounds of Mount Samat National Shrine. The scenic 6.5 kilometer uphill ride towards the apex was arduous, but as we passed by throngs of people doing the climb on foot, we counted ourselves lucky. 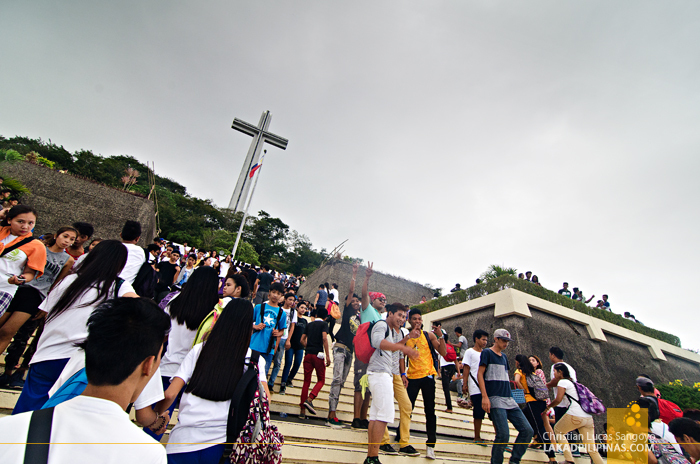 The marble-clad colonnade of the shrine, replete with embossed sculptures by National Artist Napoleon Abueva depicting war scenes and bronze insignias of the USAFFE, were filled to bursting with people—mostly students and young folks, taking their sweet time celebrating the ongoing festivities and basically just hanging around. 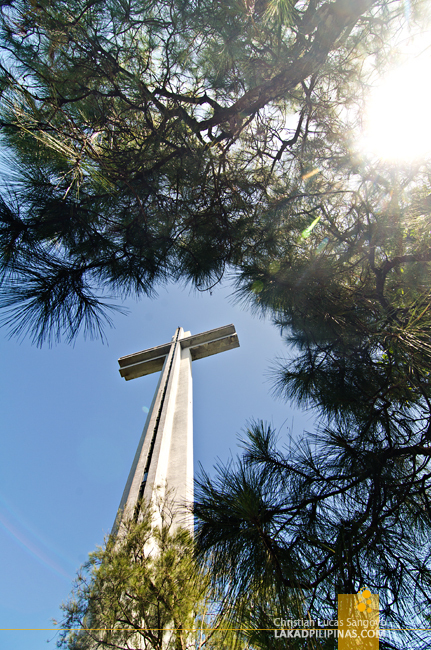 From this vantage, the iconic cross closely associated with the province was almost within reach. Without a place to sit down, our host decided to put us up on the roof of the esplanade, an area inside the complex most people haven’t been to. 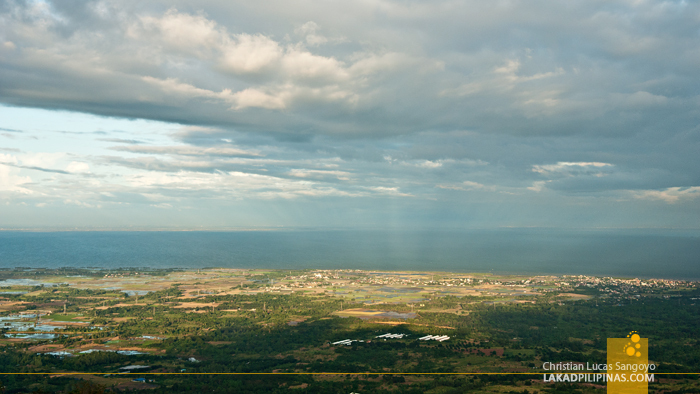 Through a flight of stairs and a precarious climb up a ladder, we emerged to a majestic panoramic view of Bataan, the blue of Manila Bay and the miniature skyline of Metro Manila. 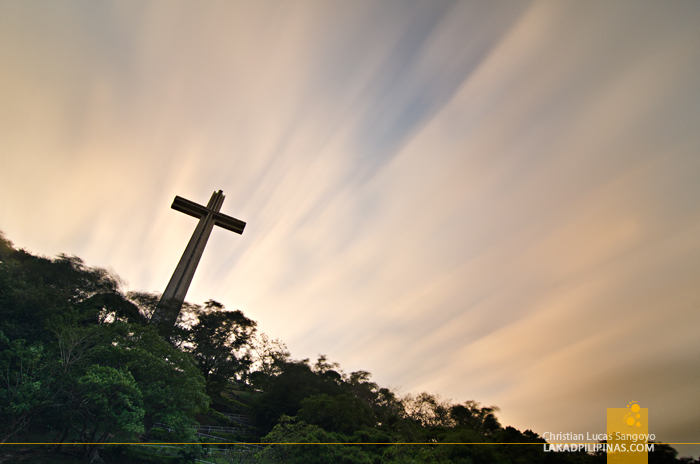 I believed my mom then when she told me the cross can be seen all the way from Malabon. 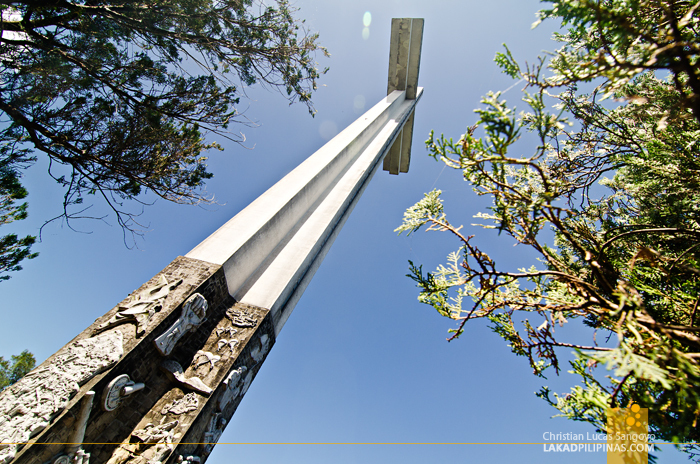 I was raring to go up the cross, which can be accessed through a lift from its base, but there was simply no time. 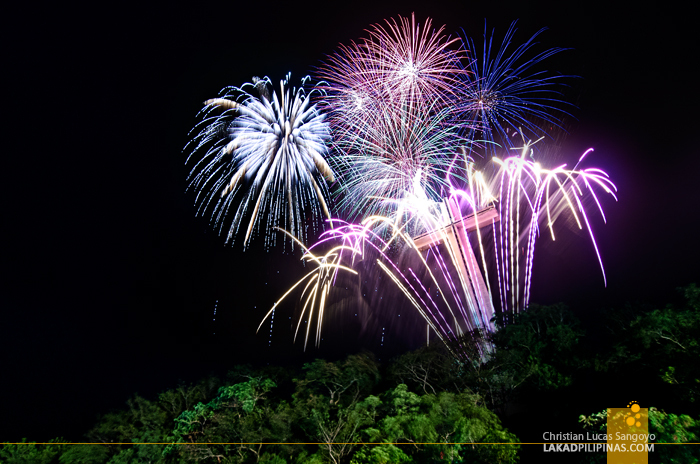 As the mass ended, fireworks flew across the 92-meter high cross, painting it with dazzling lights to the oohs and aahs of the crowd—mobile phones all trained upwards. It wasn’t until the last day of our tour that we came back to the shrine. The atmosphere was very different from our first outing. Gone were the crowd, and in its place, a solemn silence permeates the grounds, a similar silence and solitude I felt during my visit to Taguig’s American War Memorial. 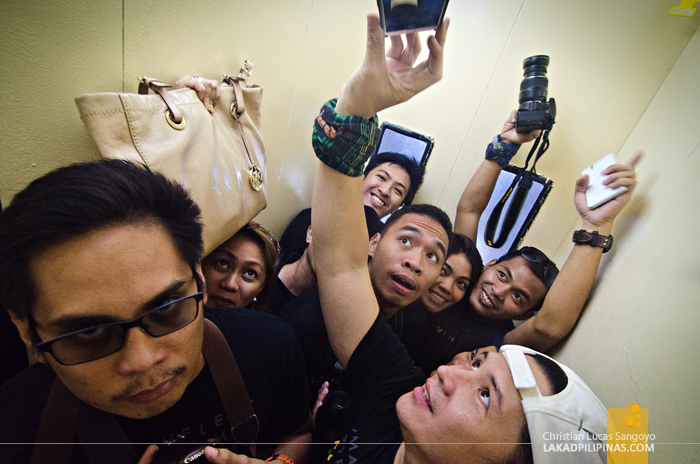 From the foot of the cross, all ten of us packed ourselves like sardines on a very small elevator and whizzed upwards towards the cross’s viewing deck. It was an uncomfortable ride, horrific for those with fear of cramped spaces, but it was definitely better than going up via the stairs. 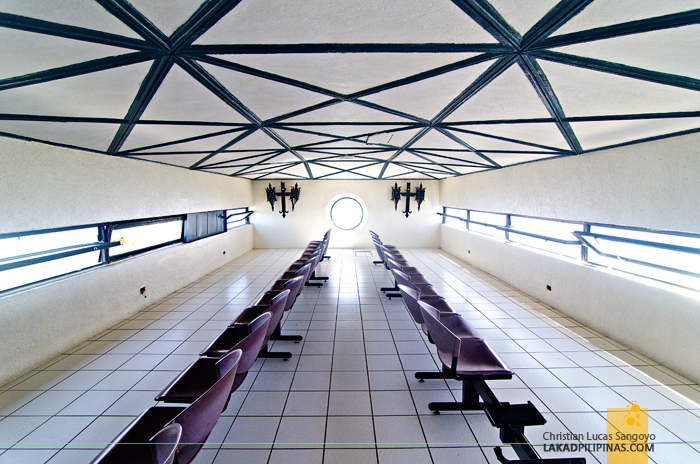 The elevator doors opened right at the cross’ junction, with the viewing deck spread on both of its arms. 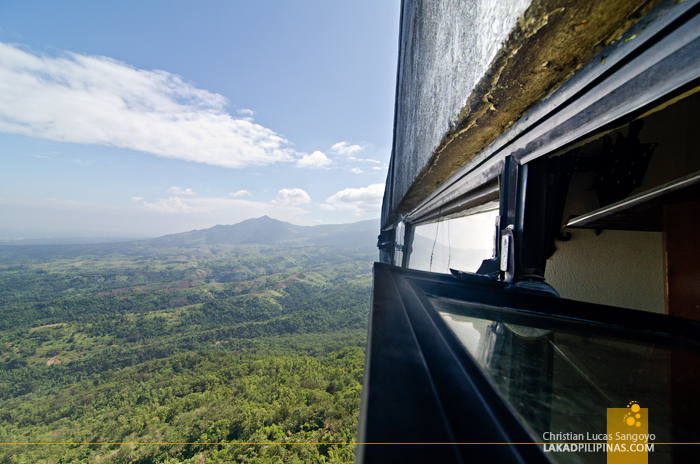 The view from here was even more breathtaking than our previous vantage even if it was constricted by narrow windows. And for people with fear of heights, don’t even dare look down, it is vertigo-inducing to see the ground so far from where you are. 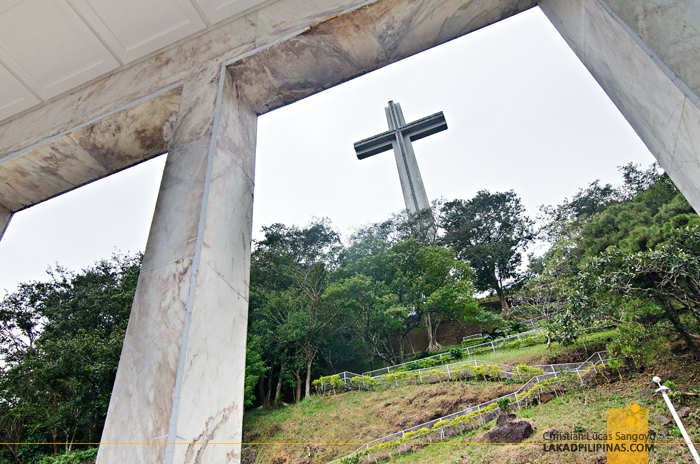 To be all the way up Mount Samat National Shrine’s apex, to be inside its cross, is a culmination of a dream. A line off my bucketlist checked. And as I stood there, I peered hard, looking through its narrow windy windows if I could somehow get a glimpse of my own home, right from the cross that can be seen from ours. What a great experience stepped into the sacred mountain-mt. Samat for the first time! Bukas po ba to ng holyweek..friday..?